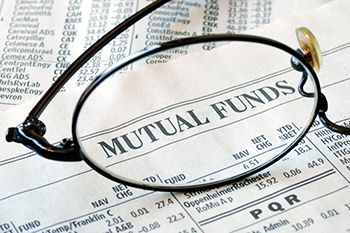 For taxation purposes, mutual funds are classified as - equity oriented funds and non-equity funds. Equity oriented mutual funds are those funds which invest minimum 65% of their AUM in equity and equity related instruments. Diversified funds, ELSS, balanced funds - equity oriented and Arbitrage funds are equity oriented funds since they invest minimum 65% of their AUM in equities and equities related instruments. Whereas, non-equity funds are those funds which do not have to meet the criteria of investing in equity and equity related instruments. Some of the non-equity funds are debt funds, gold funds and balanced funds - debt oriented. And taxation on equity oriented mutual fund and non-equity mutual fund is different. We will first discuss the capital gain tax and then taxation on dividends. Taxation on equity oriented schemes is alike direct equity investing. The taxation on gains from equity-oriented funds is categorized into two parts based on the investment horizon – Short-term Capital Gain Tax and Long-term Capital Gain Tax. Short-term Capital Gain Tax: If the investment period of an investor is less than 12 months, then the capital gains are considered as short-term capital gains. The short-term capital gains are taxed at 15.45% (15% plus 3% cess). Long-term Capital Gain Tax: If an investor redeems his investments after 12 months, then the capital gains are regarded as long-term capital gains. Long-term capital gains from equity-oriented schemes are tax-free. Note: 15% surcharge is applicable if the annual income of an investor is above Rs. 1 cr. The below table, the taxation on short-term and long-term capital gains are elaborated using examples. In the below example investor has to pay 15.45% tax on short-term capital gain i.e. Rs. 50,000 of Rs. 7,725 while there is no tax on long-term gains. Taxation on non-equity funds is different from equity-oriented funds. The taxation on gains from these funds is also categorized into two parts based on the investment horizon – Short-term Capital Gain Tax and Long-term Capital Gain Tax. Short-term Capital Gain Tax: If the investment period of an investor is less than 36 months, then the capital gains are considered as short-term capital gains. The short-term capital gains are taxed as per the slab tax of the investor plus and 3% cess. Long-term Capital Gain Tax: If an investor redeems his investments after 36 months, then the capital gains are regarded as long-term capital gains. An investor has to pay 20% of the capital gain with indexation plus 3% cess. Indexation is a method by which the returns are adjusted for inflation during the invested period. *as per the tax slab of the investor, we assumed upper limit. If an investor redeems his debt mutual funds units before 36 months then he has to pay short-term capital gain tax on the capital gains. As shown in the below table, an investor has to pay Rs 46,350 as a tax on Rs. 1.5 lakh as per his income slab (we assumed upper limit). Whereas, the taxation on the long-term capital gains from debt funds is complicated. Let’s take an example to understand long-term capital gain tax on non-equity funds. Let’s assume an investor had invested Rs. 5 lakh in a debt funds on 1st Nov 2013 and the value of the investment was Rs. 6.5 lakh on 1st Nov 2016. The investor redeemed all his investment on 1st Nov 2016. Since the investment period is 36 month the capital gain of Rs. 1.5 lakh is considered as long-term capital gain. The values of the cost inflation index are 939 and 1125 for 2013-14 and 2016-17 respectively. The value of the investment, Rs. 5 lakh, adjusted for inflation is Rs. 5.99 lakh [ Rs.5 lakh*(1,125/939)]. Thus, after indexation the taxable gain is Rs. 50,958 (Rs. 6.5 lakh – Rs. 5.99). The investor will pay 20.6% tax on Rs. 50,958 i.e. Rs. 10,497.
Dividend in the hand of the investors is not taxable. However, Dividend Distribution Tax of 28.84% is applicable on dividend distributed by the non-equity mutual funds; the DDT is paid by an AMC but indirectly investor bear it.